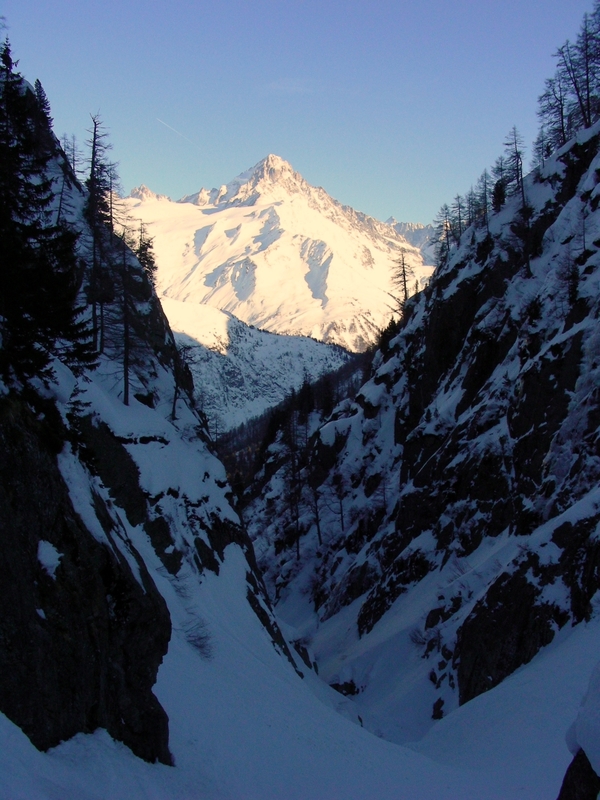 Le Buet is a beautiful untypical mountain in the Alps; with several spines running down its north face it looks like an Alaskan mountain. 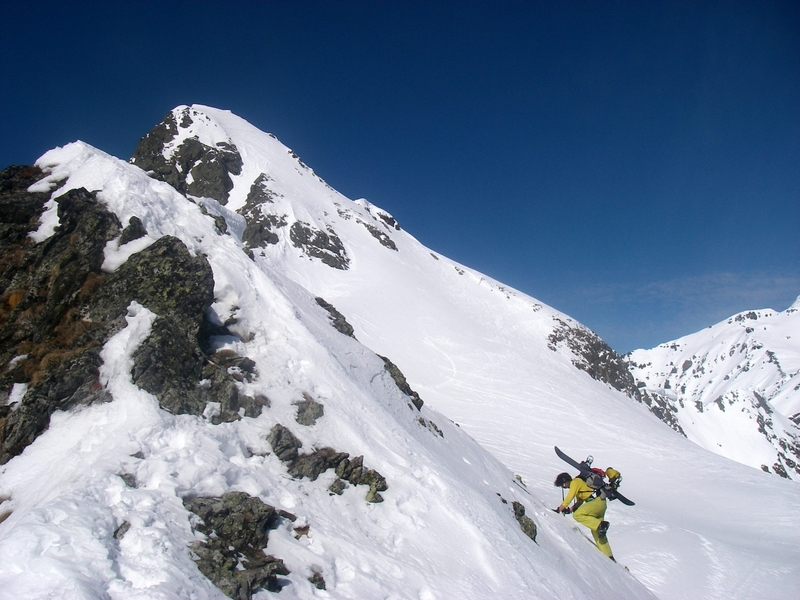 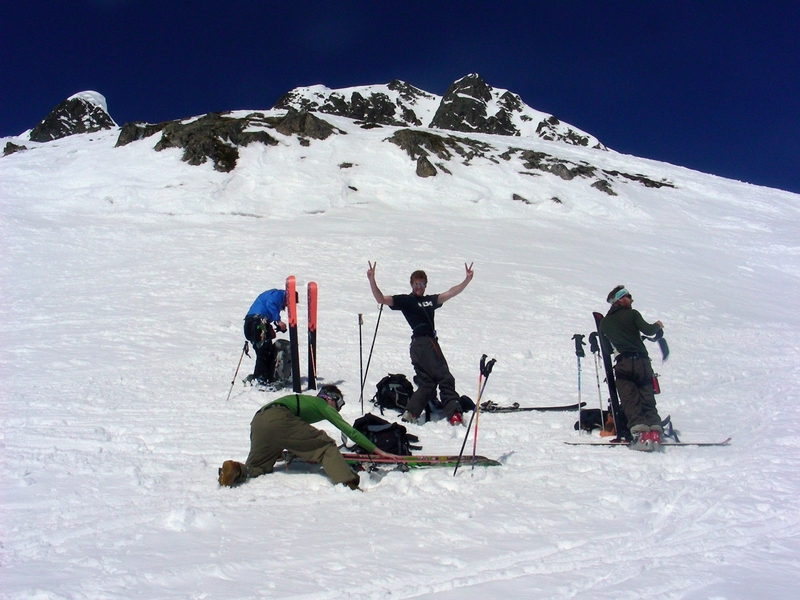 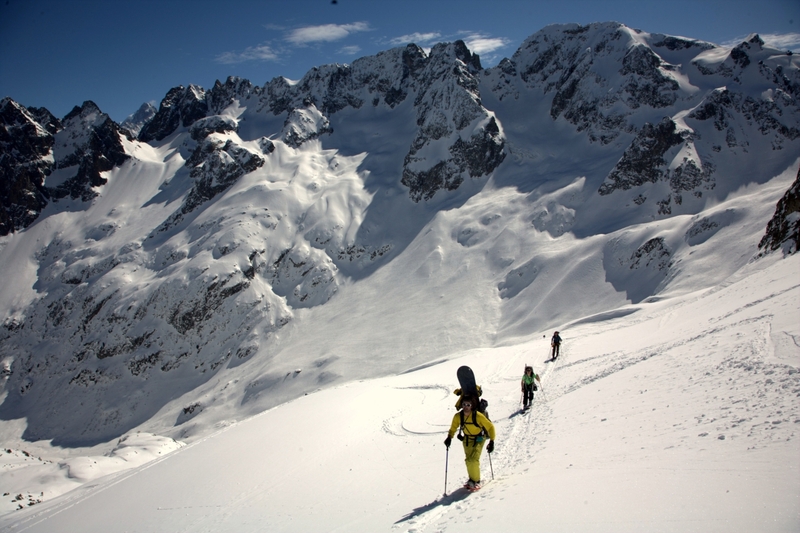 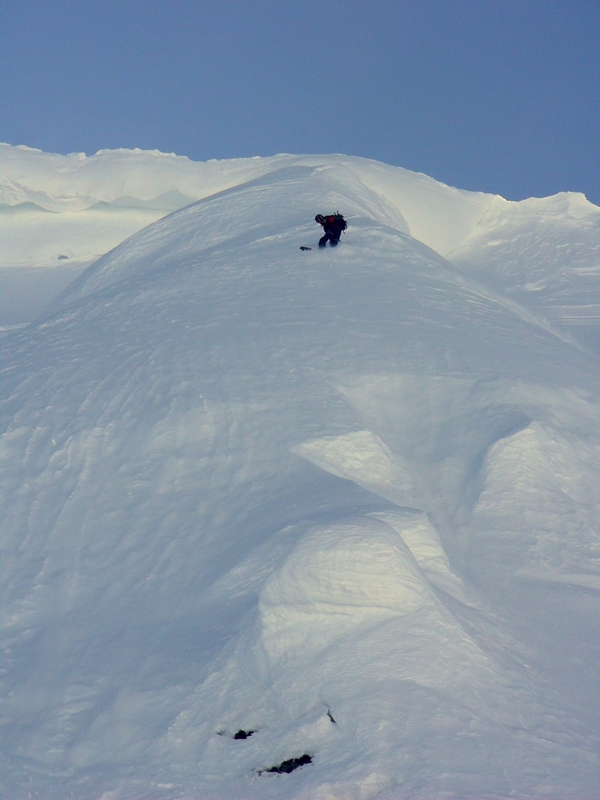 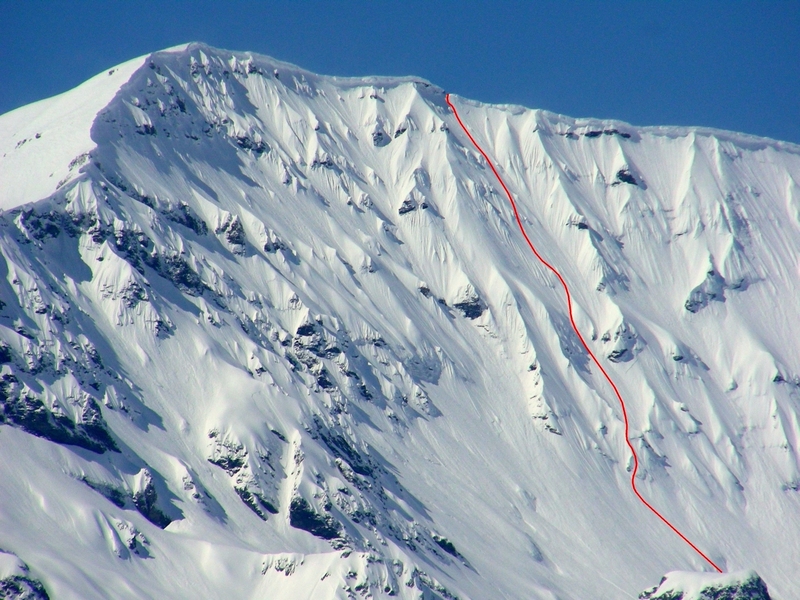 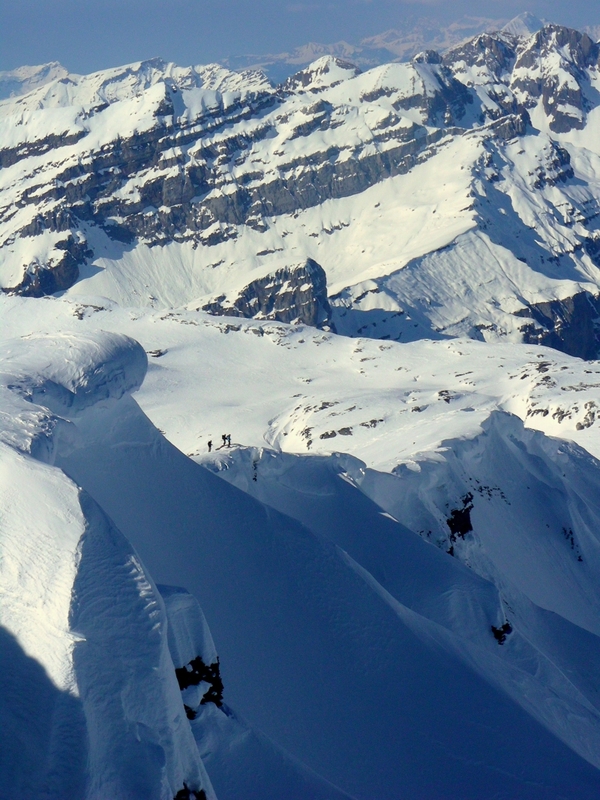 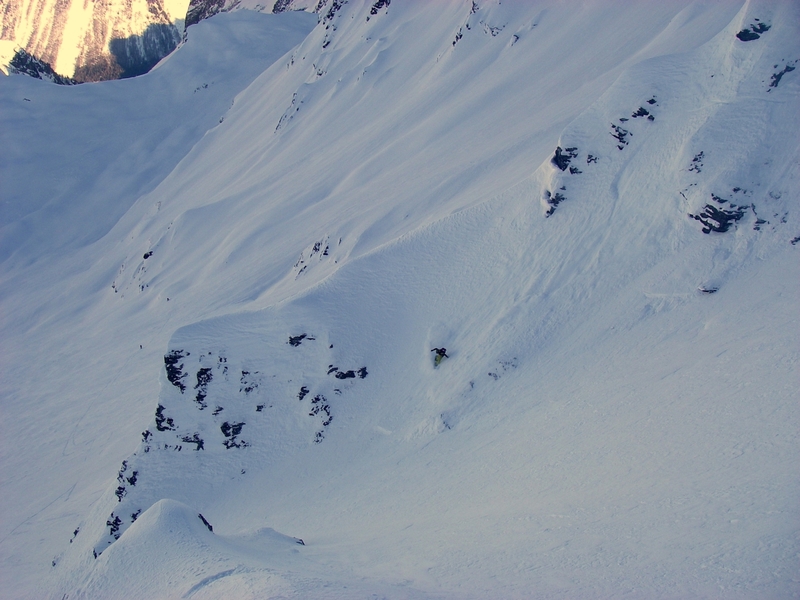 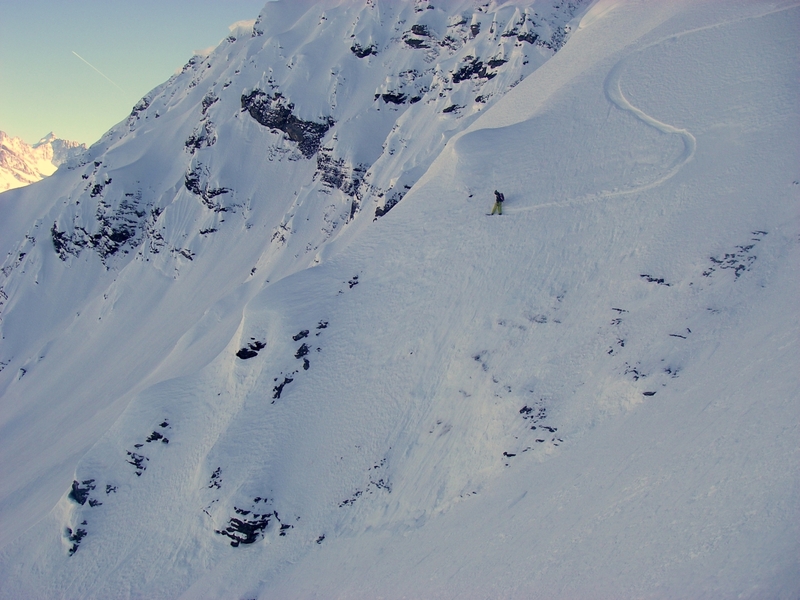 Due to it’s medium steepness (40°- 45°) it is a perfect freeride mountain. 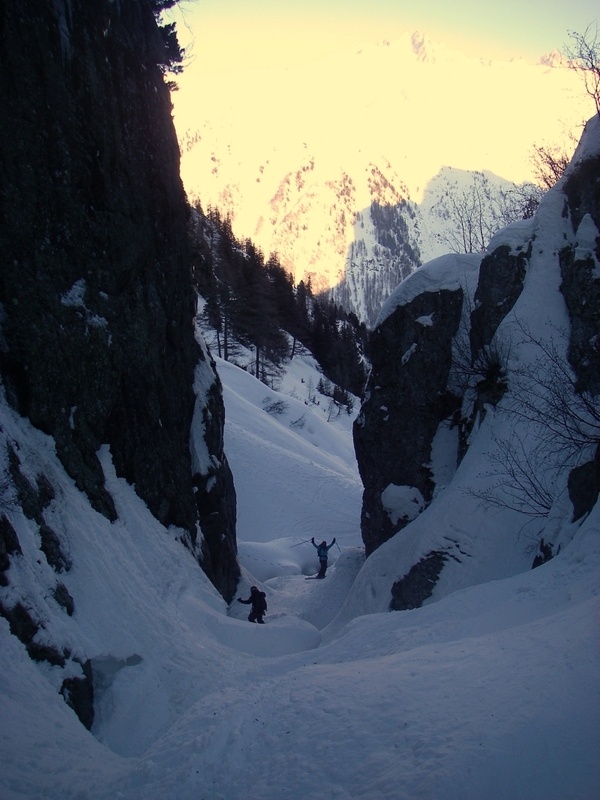 It is middle winter and dry in Chamonix. 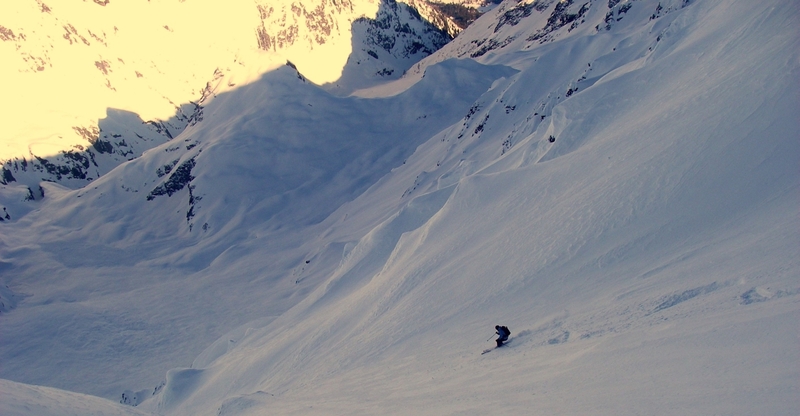 It has been more than 3 weeks since it snowed in the valley and after having pushed ourselves to the remotest corners of the massif, hunting for some untouched old powder, I was starting to give up. 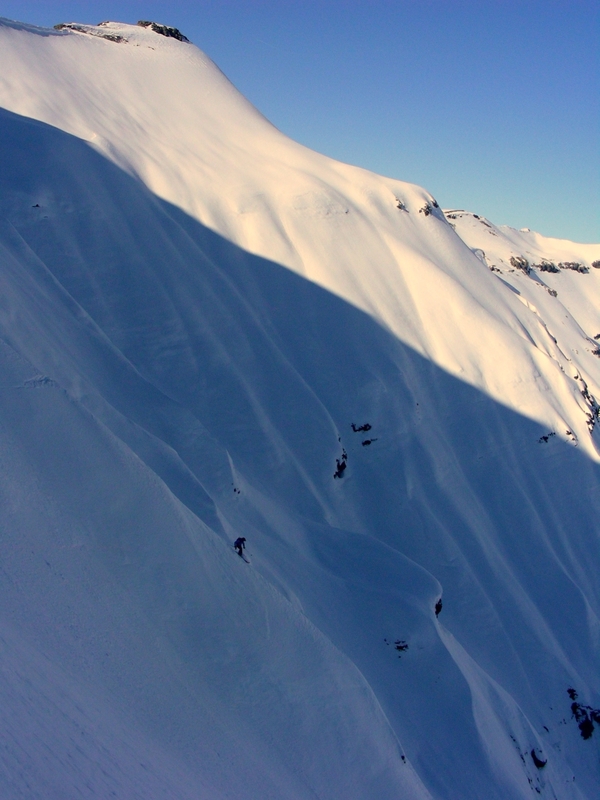 My friends Clive, Ed and Brendan invited me to go ride this line. 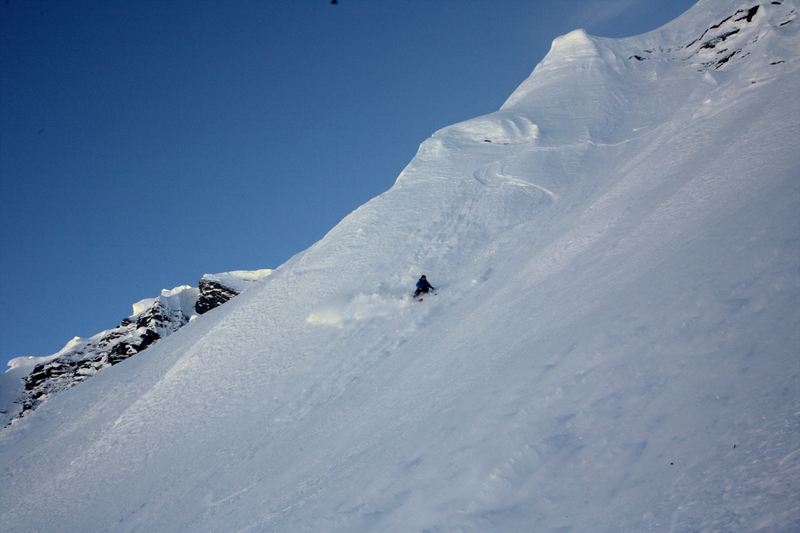 I went more for the company and to share a nice sunny day on the mountain with good friends than for the excitement of the riding and…as so often happens…surprise surprise…we found unexpected great conditions. 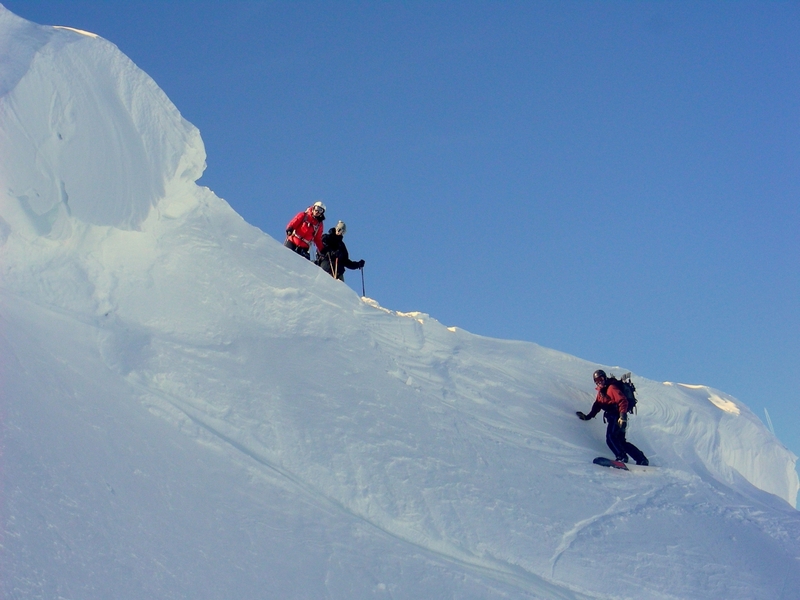 The entry to the north face is a bit tricky, due to the massive cornices overhanging on that side. 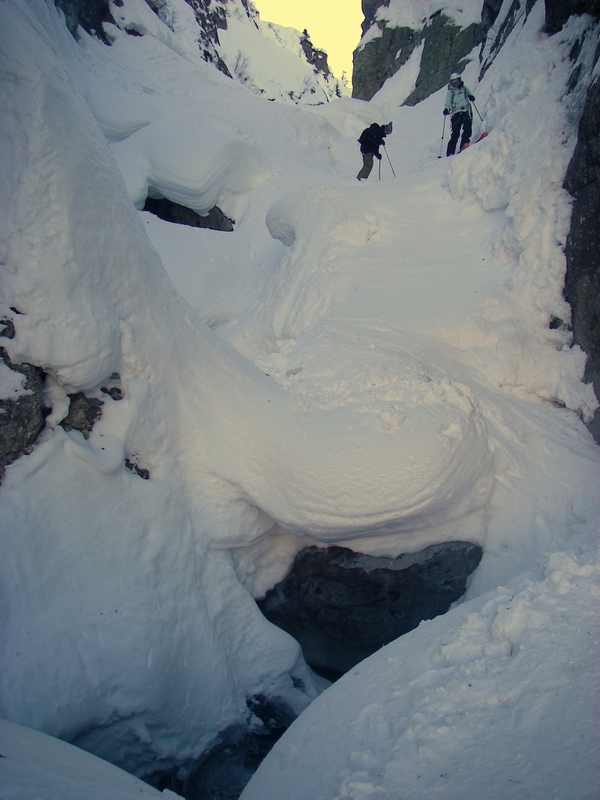 At the bottom of the face we entered into the canyon (with some scary and narrow passages and jumps down the river) that permitted us to cross the rocky bands and down to the Buet valley.